Hello everyone! Last week I was up on the Pretty Little Studio blog with a layout featuring the Gold Mine collection. 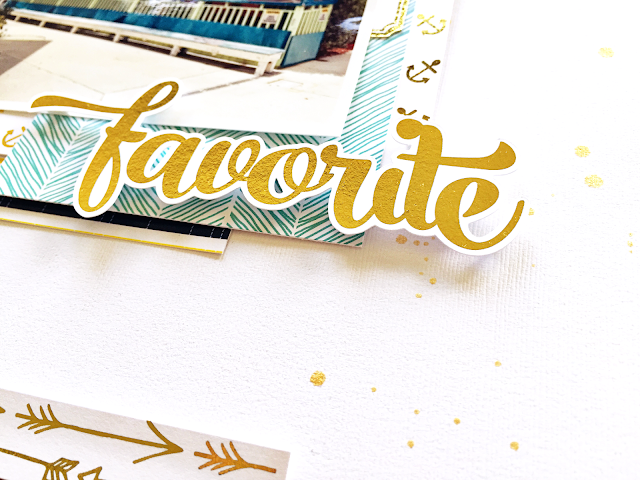 I can't get enough of this collection, either if you're making an entire project with it or just use the gold papers and embellishments as gorgeous little details, it's simply perfect! 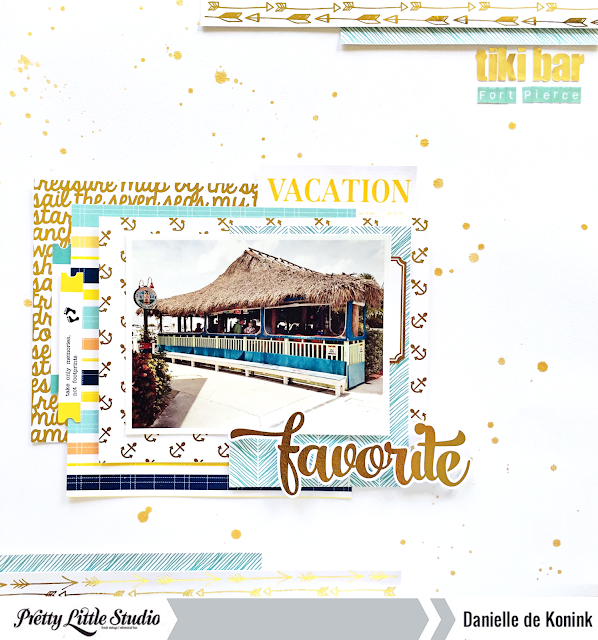 For my layout I first used Heidi Swapp's gold Color Shine for splatters on the background. 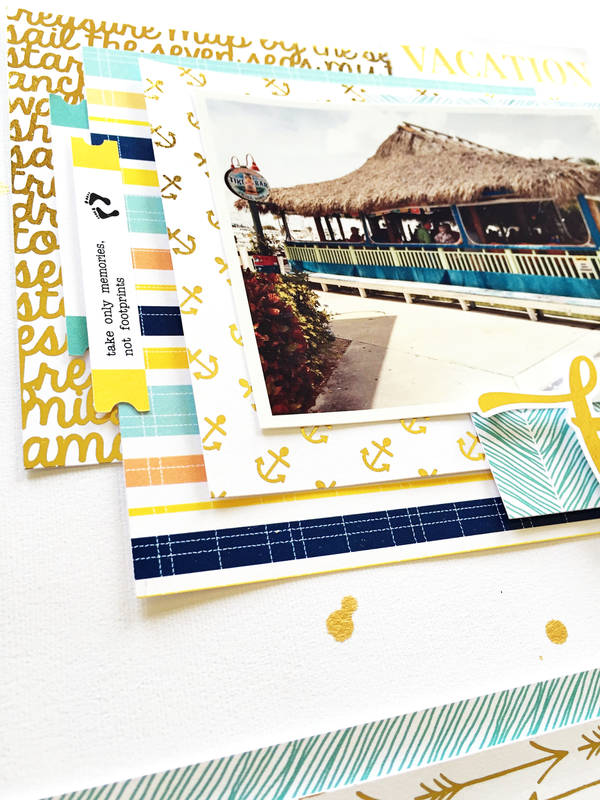 Then I started layering with the Gold Mine papers with some Let's Go papers in between. I love how these collections go so well together. I created borders for the top and bottom of my layout with Gold Mine and Let's Go papers as well. 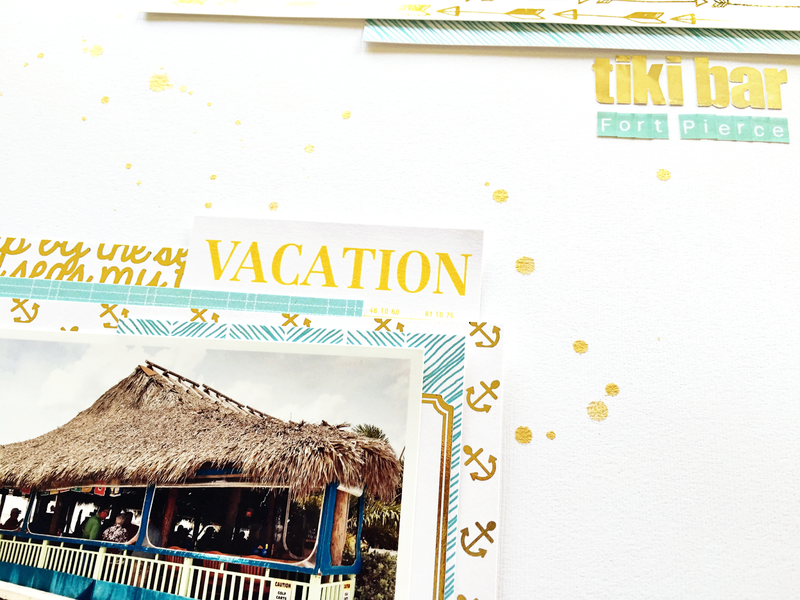 For the title I mixed up the Gold Foil lower alphas and the Tiny ABC stickers Atlantic. Another favorite of mine are the gold foil Word Art diecuts. I used the 'favorite' one and added them with pop dots so it would pop off the page. Such a pretty, pretty layout! Love all the touches of gold!